JPMorgan Chairman and CEO Jamie Dimon has kept both his jobs, despite the controversy. JPMorgan Chase agreed Thursday to pay about $920 million in fines to U.S. and U.K. regulators to settle charges related to the "London Whale" trading debacle. With the penalty, the bank is acknowledging that it violated banking rules by not properly overseeing its trading operations. In legal language, regulators said that the bank engaged in "unsafe and unsound practices." As a result of those inadequate risk controls, a team of traders made a complex derivatives bet last year that ultimately generated about $6 billion in losses. Former JPMorgan trader Bruno Iksil, whose team is thought to be responsible for the bet, was nicknamed the "London Whale" due to the massive trading position, and the fact that he was based in London. But while two of Iksil's collegues had criminal charges filed against them last month in Federal District Court in New York, Iksil, who is cooperating with authorities, has not been charged personally. The fine money will be split among regulators, with $300 million going to the Office of the Comptroller of the Currency, $200 million going to the Securities and Exchange Commission, $200 million to the Federal Reserve and $220 million to the U.K. Financial Conduct Authority. The money paid to regulators will likely all end up in the general coffers of the U.S. Treasury and U.K. Finance Ministry and will not increase or fund regulators' budgets. The SEC does have the ability to use some of the fine money to compensate investors who can prove they were hurt by JPMorgan's actions. But no such trading losses have yet been established. The money-losing trade was made with JPMorgan funds, not customers' assets. None of the bank's customers were hurt by the trading. The charges JP Morgan settled were civil, not criminal, and none of its current officers were penalized by the authorities. Cornelius Hurley, director of Boston University's Center for Finance, Law & Policy and a former counsel to the Fed, said the large civil fines are the only check on the so-called "too big to fail" banks that rarely face any kind of criminal enforcement. "Bank regulators are under pressure to fill the gap left by prosecutors who are giving large banks a pass for egregious behavior," he said. JPMorgan was forced to take the unusual step of admitting it broke federal securities law, in a sentence buried deep in an annex to the SEC order. Typically banks and other companies that reach a settlement with the SEC agree to pay a fine without either admitting or denying any wrongdoing. That is a legal dodge that has sparked criticism of the SEC in the past. The bank said it has changed its practices to make sure this kind of loss can not be repeated. 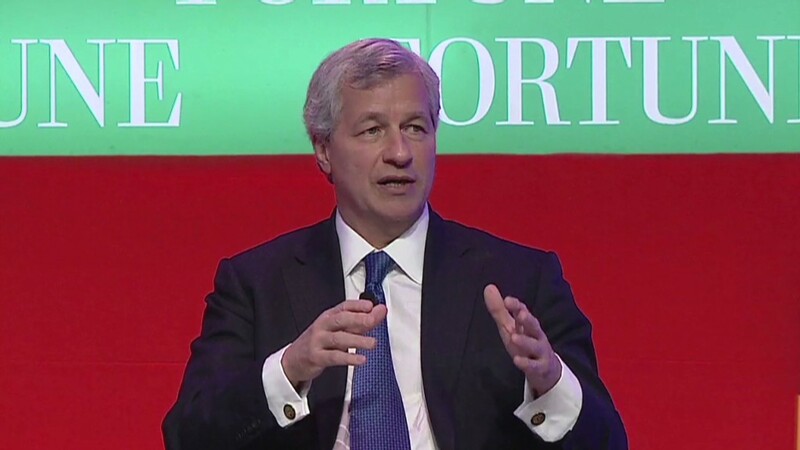 "We have accepted responsibility and acknowledged our mistakes from the start, and we have learned from them and worked to fix them," said JPMorgan Chase Chairman and CEO Jamie Dimon. The fine is a small fraction of the bank's $2.4 trillion in assets. The nation's largest bank earned $13 billion in the first half of this year on revenue of $51.8 billion. But the trading loss has been a black eye to the reputation of JPMorgan Chase, which weathered the financial crisis five years ago better than many of the nation's other major banks. 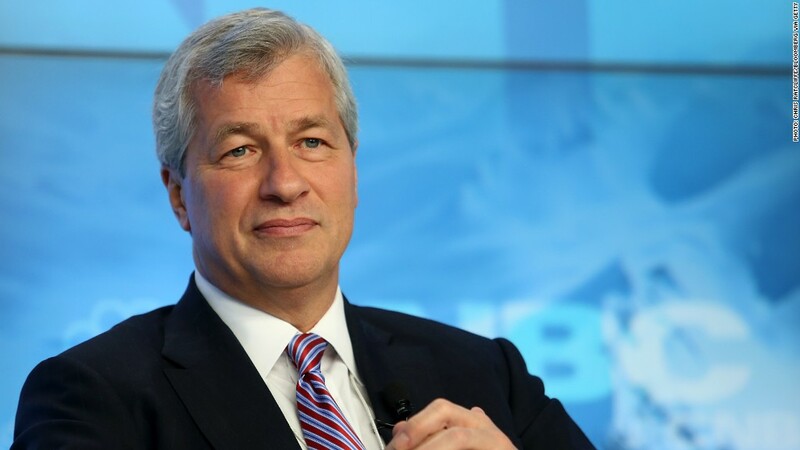 When he revealed the loss in May 2012, Dimon admitted that the bank had been "stupid." Still, Dimon kept both his jobs despite a shareholder effort to separate the positions following the loss. However, his bonus was slashed in the wake of the trading loss, and Ina Drew, the firm's chief investment officer, left the bank. JPMorgan has previously said it has recordings, e-mails and other documents that suggest its traders may have been hiding the losses as they ballooned. But in March, the Senate's Permanent Subcommittee on Investigations said its probe of the loss revealed that JPMorgan "disregarded multiple internal indicators of increasing risk; manipulated models; dodged [federal] oversight; and misinformed investors, regulators and the public about the nature of its risky derivatives trading." Shares of JPMorgan Chase (JPM)were down about 1% in trading Thursday after the fine was announced.